Think we’re living in a post-pen world? Think again, Livescribe says. The smartpen maker says its research shows that most people—even those toting around phones and tablets—still like having pen and paper on hand to jot down notes. But that doesn’t mean people want those notes to be available digitally, which is where the Livescribe 3 comes in. The Livescribe 3 lets you write notes onto a piece of paper, just like you would with any ordinary pen. But, if you’re using one of Livescribe’s Dot Paper notebooks, your notes can also be stored digitally with the help of a companion app for organization, tagging, and searching. The Livescribe 3 has been around since last fall, but this week’s Macworld/iWorld gave the smartpen maker a chance to demo it for iOS users in San Francisco. And you’ll see a demo of the pen from Livescribe’s Bryan Rodrigues in the above video report. Since its release late last year, the Livescribe 3 has been busy adding support for other third-party apps. 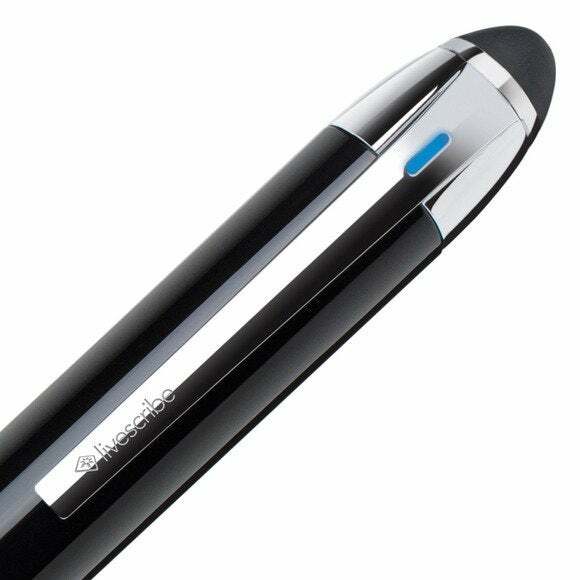 Earlier this month, Livescribe said it was integrating its smartpen with OneNote, Microsoft’s note-taking app.